Heritage Water Tanks proudly supplies premium quality steel water tanks for residential and commercial markets in regional South East NSW. We offer domestic and rural tanks in sizes ranging from 55,oooL to 375,000L. As part of our quality promise, we offer a 20-year Pro-Rata Warranty on all of our water tanks. The Central Coast in New South Wales is located on the Tasman Sea coast north of Sydney and south of Lake Macquarie. 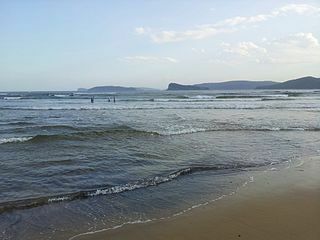 The Central Coast has a population of over 325,082, making it the third largest urban area in New South Wales and the ninth largest urban area in Australia. Geographically, the Central Coast is generally considered to include the region bounded by the Hawkesbury River in the south, the Watagan Mountains in the west and the southern end of Lake Macquarie in the north. Towns in this area include Brisbane Water, Gosford and the retail centre of Erina. Commercial “centres” on the Coast are Wyong, Tuggerah, Lakehaven, The Entrance, Terrigal, and Woy Woy. Strong development within the tourism, manufacturing, finance, building, retail and industrial sectors has been experienced in recent years. Water is an essential resource for the community for both residential development and commercial operations within the Central Coast region.